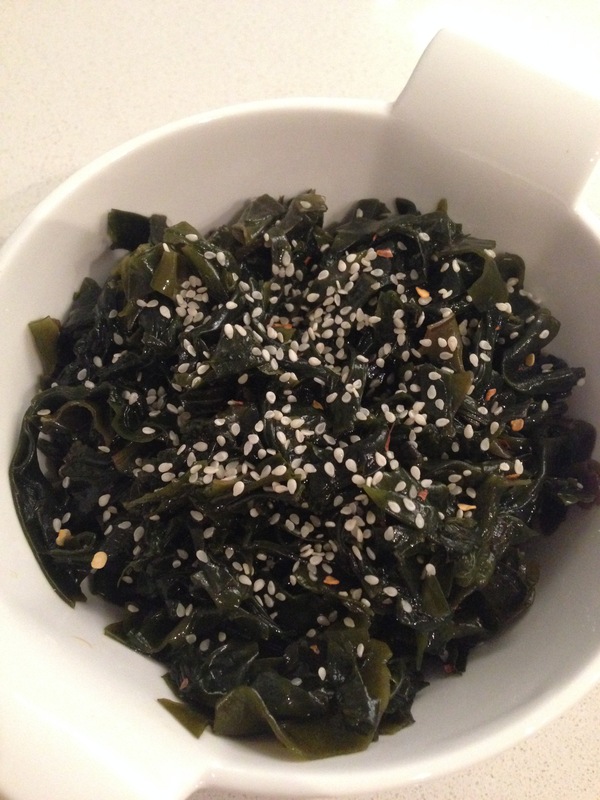 A dried, cut wakame was used for this seaweed salad. Rinse the seaweed very well in a colander under cool running water and set aside to drain. Use your hands to squeeze the excess water out of the seaweed. Meanwhile, in a medium sized bowl, mix together the sugar, soy sauce, and rice vinegar to taste. Start with 1 tablespoon of each. The amounts you will use will depend on the brand of seasonings you’re using, the saltiness of the seaweed, and on your personal tastes. Personally, I only used 1 tablespoon of soy sauce, because the saltiness of the seaweed is enough for me. Once you like the balance of salty, sweet, and sour, then add the sesame oil and dried chili flakes to taste. Personally, I like the sesame oil to be the prominent flavour. Add the seaweed to the dressing and toss it gently until well combined. Adjust the seasonings to taste. 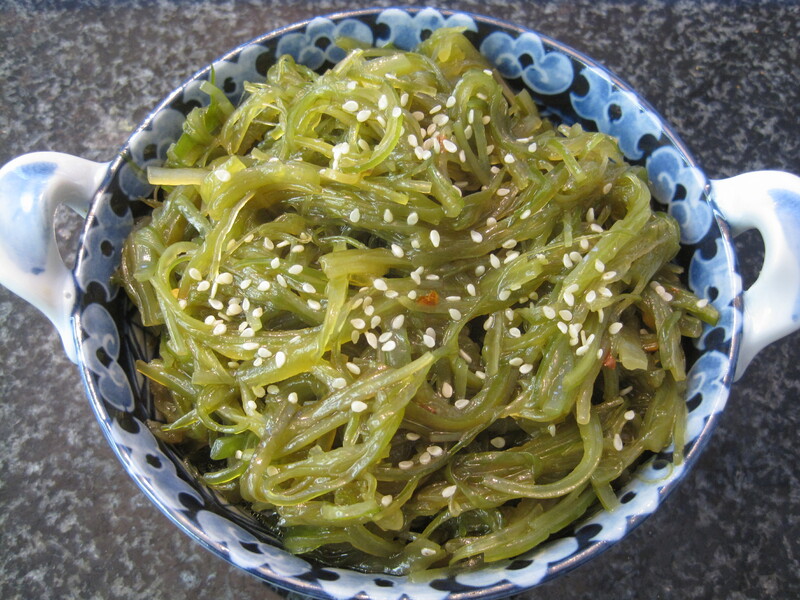 Then refrigerate the seaweed salad for at least overnight prior to serving cold or at room temperature. Just prior to serving, garnish with some toasted white sesame seeds.